Take a look round a room or a space in your home – does it lack something? Does it need colour or excitement? Designer rugs from The Rug Retailer could be the answer, but don’t just take our word for it. Interior designs will tell you that a designer rug will anchor a room, it will define a space, it will add warmth and the much needed layers and texture every room needs to feel and look ‘completed’. Choose wisely and a rug will tie all the pieces and aspects of a room together. The best way of using a designer rug is…? Zones – interior designers like to talk of ‘zones’. What this essential means is separating areas so that certain spaces of a room take on certain functions. Open plan or other cavernous spaces can often seem too big a void to fill, but with a designer rug well placed is a certain section there is no need for walls or items of furniture to section spaces. With a rug, tied in maybe with soft furnishings such as cushions or maybe a splash of colour or art on a wall, what can seem a dark corner of a room can suddenly be transformed into a place to relax, read or snooze… get the picture?! Think about the space and how you could use it better – could a designer rug help separate space? Unless you want to cut a room in two, use different sized designer rugs, never two the same size! Mix and match styles (within reason) – a key interior design trend in 2014, leading in to 2015, is to mix and match styles and patterns but, to get the true effect, there needs to be a common elements running through all the different styles and component parts. For example, the floral pattern look is still in and there are many design rugs that complement such a theme BUT, if you want to add more than one pattern pick two or three key colours, and an element of the design and keep these as a constant. For example, ditsy flowers with birds in shades of blue and pink, with a darker, earthier tone of blue to keep the pattern flowing is important. Mixing and matching with designer rugs is great but keep a sense of harmony be using colour and key aspects of the pattern. 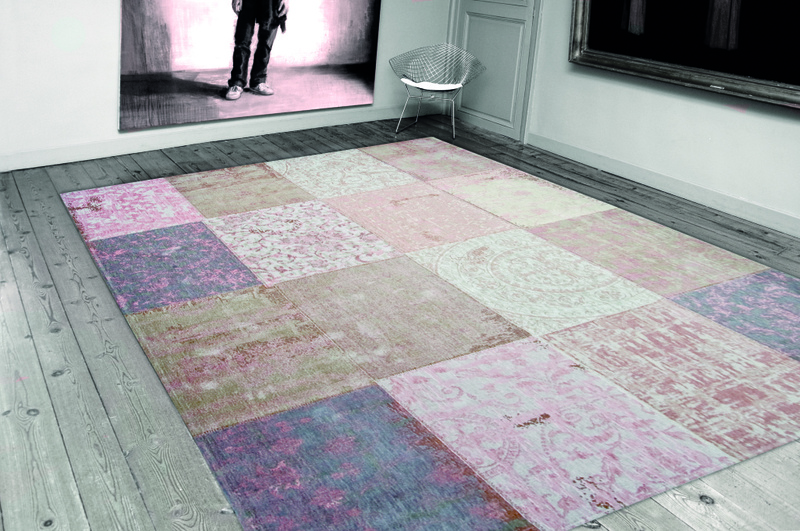 The starting point – of course, the best way of incorporating a designer rug in to any scheme is to start with the rug! And when it comes times to revamp the walls and soft furnishings, you will find that once again you have more choice (and an easier time) of getting items and colours to match and contrast. Ramp it up or tone it down – designer rugs also offer a versatility unheard of in many cases; if you want to tone down a space, adding stillness and understated elegance then there is a range of designer rugs for this purpose or maybe you want to add drama and colour! Wherever you are on the spectrum of interior design drama, there is a designer rug that can serve as a focal point, whether that is in terms of colour and pizzazz, or understated elegance. The size and shape of it – many people are in awe of designer rugs but feel at a loss as to how they will ‘fit’ the scale of their room. There are many clever design hints and tips that can help you and why not seek inspiration from others who have created spectacular interiors? Designer rugs can offer so much that it pays to take time and energy into choosing the right one; their quality and versatility means it could last a life time (if not longer!) in any home. It can be the cosy platform on which you children learn to roll, tumble, walk and read; it will be the mainstay item that you will covet and cherish – go on, take another look at our designer rugs.